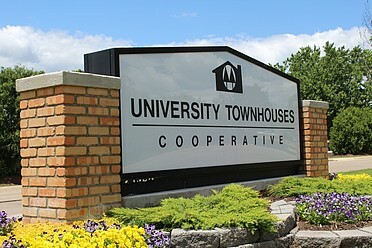 The information below should answer most of your questions about University Townhouses Cooperative. However, if you need clarification or more information about anything, please don't hesitate to contact us. We'd be more than happy to help you out! Cats must be registered with the office and are required to have all necessary shots. Dogs must be registered with the office and are required to have all necessary shots. Dogs must be licensed with the City of Ann Arbor. A $75.00 CREDIT REPORT SERVICE FEE IS REQUIRED AND IS NON REFUNDABLE. The fee must be paid by a personal check, money order, bank draft, cashier’s check, Visa or Mastercard. University Townhouses Cooperative imposes a surcharge on transactions on Visa/ Mastercard purchases which is not greater than our cost of acceptance. $5 for application fee and $50 for membership fee. The Cooperative does not accept cash. Please fill out the application for membership thoroughly and accurately to expedite processing. Applications will not be reviewed for membership approval unless ALL PAPERWORK is received. Effective April 1, 1999, all necessary information and documentation must be submitted within 60 days from the date the office receives the application. If the necessary information and documentation is not submitted within 60 days, the Cooperative will assume that you are no longer interested in membership and your application will be permanently removed from the Cooperative files. Remember to sign and date the application or completed our online application. Please use an ink pen, we cannot accept any forms completed in pencil. When the application is received, it will be processed for tentative membership approval. If tentatively approved, applicants will then be placed on the waiting list as of the date that the initial application paperwork was received. Waiting list positions can vary since all approved applicants are placed on the list as of the date application is received in our office. All applicants must verify eligibility for membership prior to move in. All applicants are required to attend a meeting with the Membership - Orientation Committee for final approval before moving in. If you do not attend a meeting or contact the office prior to the meeting, your name will be removed from the waiting list.